Hello! I’m Sneha and I love to create beautiful designs. Essem Creatives is a way for me to bring life to the design ideas I want to be surrounded by. To give you a little backstory, I am a corporate-lawyer-turned-artist. I first dipped my feet in the creative world through photography and from there, I’ve moved on and explored other art forms as well. I’ve always loved creating & doodling, but had never (ever) thought it would become my full time work. So I went on to law school, and then to a large corporate law firm (my first job). Within a couple of years, I realised that I just wasn’t honoring my real desires and the need for a creative outlet. Then, with guidance from my sister (a super awesome designer of all things wedding paper) I decided to explore the creative field, and haven’t looked back since. Ten years back, when I was about to complete high school and plunge into the next phase of my life, I decided I wanted to go to law school and become a lawyer. I worked my buns off to clear the entrance exams, and ended up getting through to the school of my choice. It was the first major thing I’d “accomplished” in life. My Law School Years were great – as great as college years go. I graduated with a job at a top city law firm with a cushy salary. The natural path for most students who opt for an (expensive) law degree is to often start with a high paying job as a corporate attorney. I did the same thing – I followed the tried and tested path laid down by my seniors in the field. It was the done thing to do. I don’t think I had ever questioned the idea of not doing it, or doing something different. It was the done deal, and I went all in, with an open (and super excited mind). 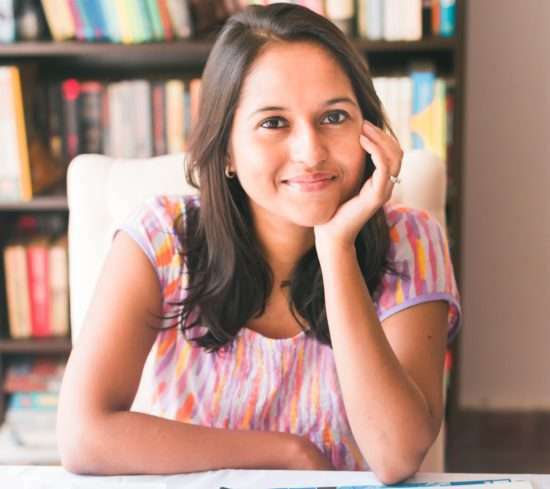 I was the proverbial bright eyed and bushy tailed first year lawyer, ready to tackle all nighters, working weekends, crazy deadlines and all that came with it, without a question. It was all fairly enjoyable for the first couple of years but soon enough, once I got off the super sharp learning curve that comes with starting a highly demanding first job, I started noticing that I loved weekends way too much, and almost started to dread Mondays. It came to a point when I could not ignore the little voice in my head which kept telling me to leave this life and do something else – any thing else. I could feel a little part of me dying inside. But… I did not have a Plan B. I had no idea what I wanted to do next. All I knew was – not THIS. So I left my high paying job as a corporate lawyer. And I was jobless for a few months (scary, scary time for a Type A Personality like me). It was the scariest time, but also led to the opening of doors which have since created the best of times for me. During this time, my sister, an established graphic designer & artist strongly encouraged me to try out my creative side. I took her advice, learnt how to use a DSLR, shot a few free profile shoots, and then started getting enquiries for photography assignments. I was on the MOON. It was absolutely perfect. I had found my next job, and first ever role as a full time Solopreneur and found myself as a Wedding & Lifestyle Photographer. I grew my business as a Lifestyle & Wedding Photographer and shot many amazing assignments for a span of about a couple of years. On the side, my sister and I started a side-business creating Mockups and Styled Stock Photography for stationers. It was fabulous. I picked up new skills of product photography and also learnt what other creative businesses need. Being a full time photographer myself, I was also fully aware of the needs of full time and part time Solopreneurs who are struggling to create a brand from scratch, with absolutely no help, very little time, and even smaller budgets. At the same time, I also started creating watercolor designs. I learnt almost exclusively from videos uploaded by artists on Youtube and Instagram. I was completely drawn into this world, and before I knew it, I was creating watercolor flowers, wreaths, and clipart sets. The more I painted, the more I could visualise my work being used by other creative people to make printable art work, in their brands and logos, on their websites, on their packaging materials, for wedding invitations. As I started selling my clipart sets, I started seeing people use them in ways that even I had never imagined (someone even used them in Snapchat filters!!). So the possibilities were shown to be endless. Creating watercolor art and sharing them with the world has been an amazing experience and I still marvel at the designs other creative folks make with these supplies. At the same time, I was painfully aware of the shortage of time that a Solopreneur faces in managing and growing their business. One of the major pain points that I have faced (and continue to face) is consistently creating on-brand graphics for my social media channels – particularly Instagram and Pinterest (since I’m active on these). I searched a lot on the web for social media templates that fit MY BRAND, but I could not find anything I could use. So, I created some social media templates for my own use. Then I also listed those on my shop and they got a great response. That’s when I realised that women in business who do not have a full time dedicated graphic designer (like me) ALSO struggle with the same things I do. Since then, I have started a Business Resources division on my shop, where I share resources which simplify the lives of small business owners. It is very satisfying to know that my work has helped so many businesses do business looking styling & professional, without having to spend days poring over Photoshop or spending thousands of dollars on a single design. The Essem Creatives Blog has become a space where I share my journey as a creative business owner. I share tips & tricks that have worked for me. I help take the guess work out of this world, and help others make informed decisions. I also share inspirational projects made by other talented folks which is inspirational to us all. 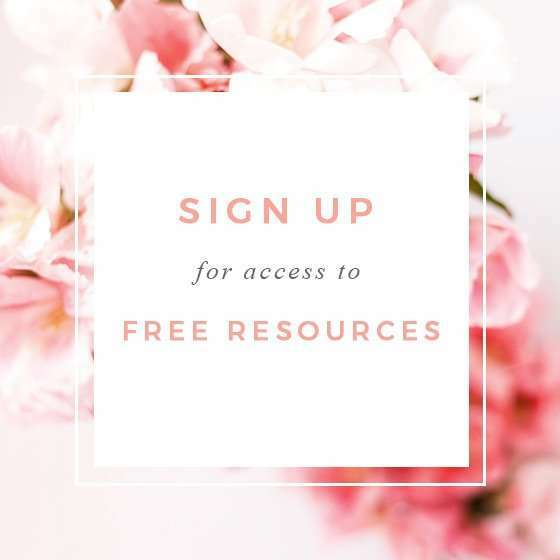 There is also a dedicated Free Resources Section where you can find all sorts of amazing free goods whether you’re looking for something fun & pretty, or something specific to get your business rolling. It is password protected, and you can sign up below to receive your password to access this section!